Step away from the matzo. That’s what I keep telling myself during Passover when matzos appear everywhere from Jacques Torres to each seder table in town—whether that’s your feminist seder on the Upper West Side, queer seder in Park Slope, conceptual non-seder in Bushwick, or Bubbe’s in Brighton Beach. When you walk into the coop you’re bombarded by towers of them. I used to eat matzo with my grandmother (still do), buttered and sprinkled with salt, and we decided recently our favorite is Yehuda, for its black char, like good brick-oven pizza. But never had I made matzo ball soup before yesterday. Passover is bittersweet—it commemorates the story of Exodus, marking the Jews’ freedom from slavery in Egypt. They fled through the desert, leaving no time for bread to rise, and thus the tradition of avoiding leavened bread for the eight days. In order to avenge the Jews’ enslavement, ten plagues are said to have been put upon the Egyptians, including the murder of their first-born sons. 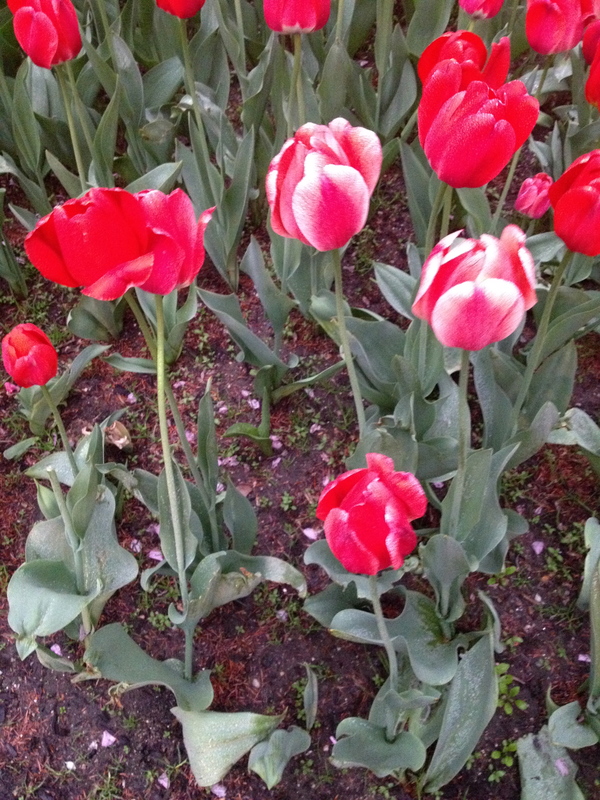 As a kid, and to this day really, it was hard to get past the imagery of lamb’s blood and children dying, but that’s actually part of the commemoration—the acknowledgement of suffering as well as the joy of freedom. I was raised Catholic, but my siblings and I are actually part Jewish, although I’m just about the only person in my family to identify that way. My mother’s father was Jewish (his mom’s last name was Levy), but I’m named after my father’s family, Catholics from the Normandy coast in France. It’s not difficult to understand why my grandparents and great-grandparents wanted to disavow their Jewish heritage during World War II—even in Flatbush, Brooklyn—but it does kind of break my heart that that part of our identity got lost. I wasn’t able to attend a seder for Passover this year but was eager to eat matzo ball soup (and brisket, but that’s another post), and therefore took it upon myself to forge ahead and DIM (do it myself). So one day last week I put on some Prince and started looking up recipes. In good Jewish fashion there’s lots of arguing and kvetching about what to do and not to do, whether to make your matzos light as air or heavy as lead, whether to use seltzer or not. 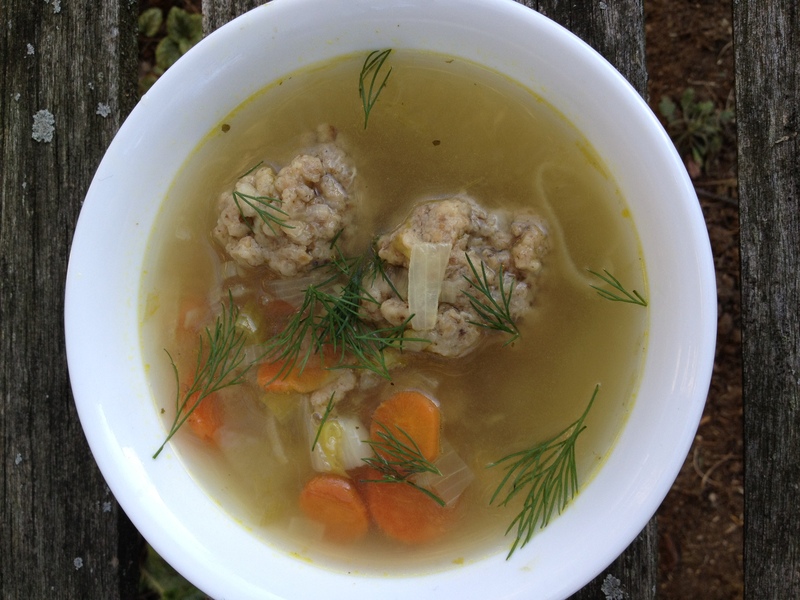 I combined a few recipes to create my own version and prepared to make this vegetarian take on Jewish dumpling soup while at my grandmother’s yesterday. Anyway, you start with the stock. 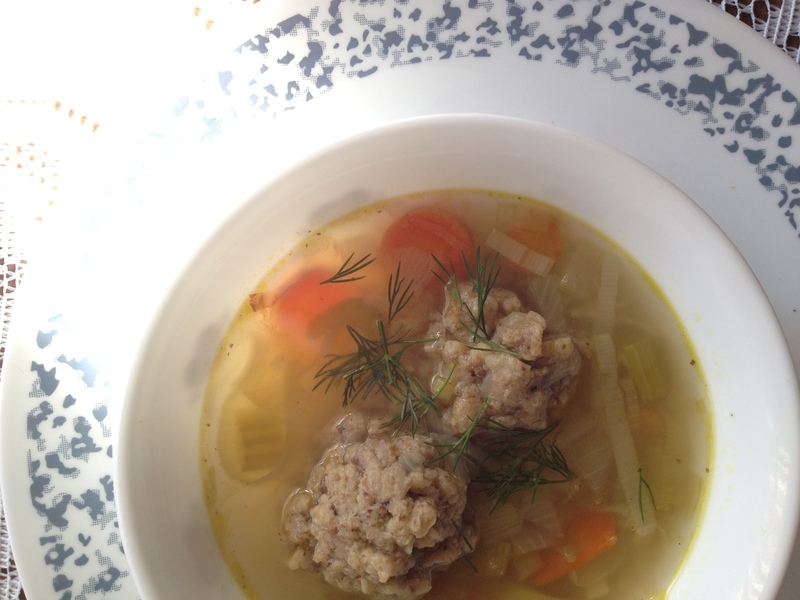 It goes without saying that traditionally matzo soup is made with kosher chicken stock. But I didn’t feel like schlepping a four-pound bird back to my apartment only to boil the crap out of it for broth, and besides I didn’t know who might be eating my soup. Also, yes, been eating less meat. But still, other than the matzo balls there’s really just broth so it’s important to attend to this aspect of this dish. 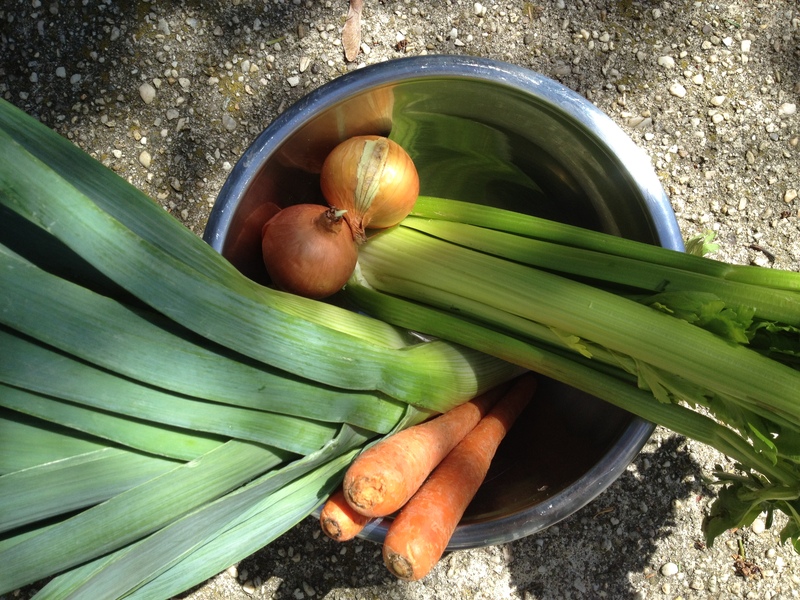 I bought leeks, carrots, onions, garlic, and celery and sauteed these in butter and olive oil in my stock pot. 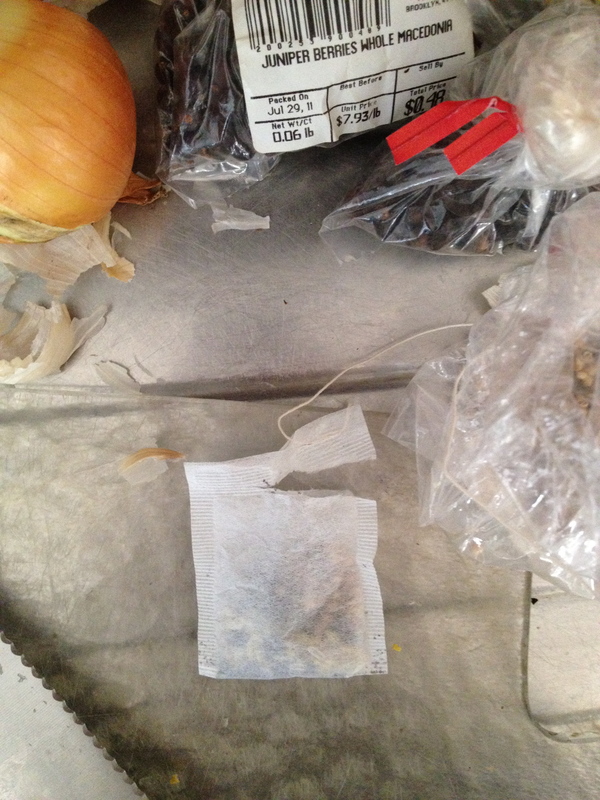 To that I added two quarts of water and a spice sack I rigged out of a tea bag because I forgot my little cloth spice sack—tea emptied, and bag filled with black peppercorns, juniper berries, mustard seeds, coriander seeds, and fennel seeds, then tied in a knot. I was cooking in my grandmother’s tiny kitchen that hasn’t changed since 1955 (we’re gonna party like it’s…) and I know the drill: I bring all my own knives, cutting boards, cheese graters, salt, pepper, olive oil, pots and skillets when I cook out there. She just laughs when I barge through the door like I’ve just robbed a Williams Sonoma. While your stock is simmering you can quickly put together the matzo dough. Then let it chill in the fridge for at least an hour while you go play tennis and maybe pick up a dessert. My matzo dough came out a little darker and chunkier than I expected, but I think that’s because a) see point above about the char on Yehuda matzos and b) I didn’t quite grind the matzos into as fine a breadcrumb as perhaps I should’ve. 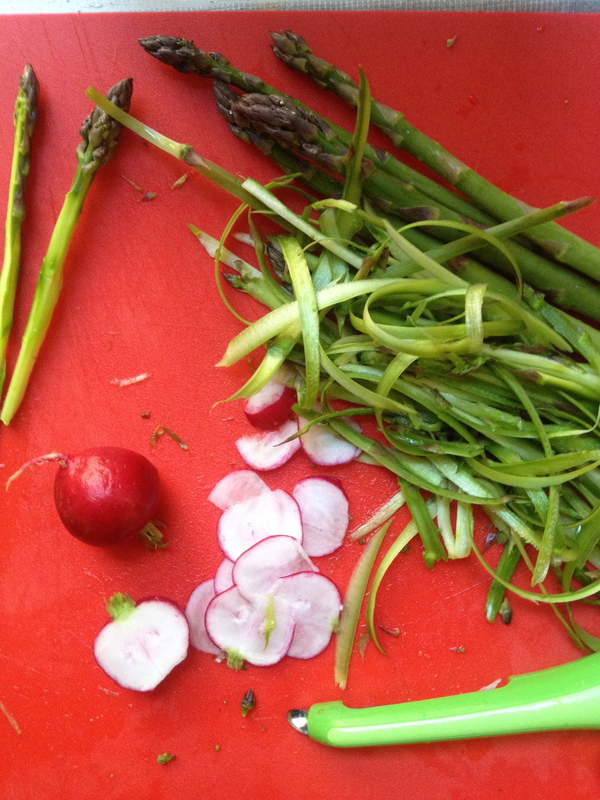 No matter, these were still really flavorful, light, and buoyant. And the stock practically tasted like I had in fact boiled a whole chicken in there—it was light and rich at the same time, well seasoned and a nice accompaniment to the matzos, which I served two to a bowl with sprigs of fresh dill for some springtime green. spice sack: some combination of black peppercorns, juniper berries, coriander seeds, mustard seeds, etc. 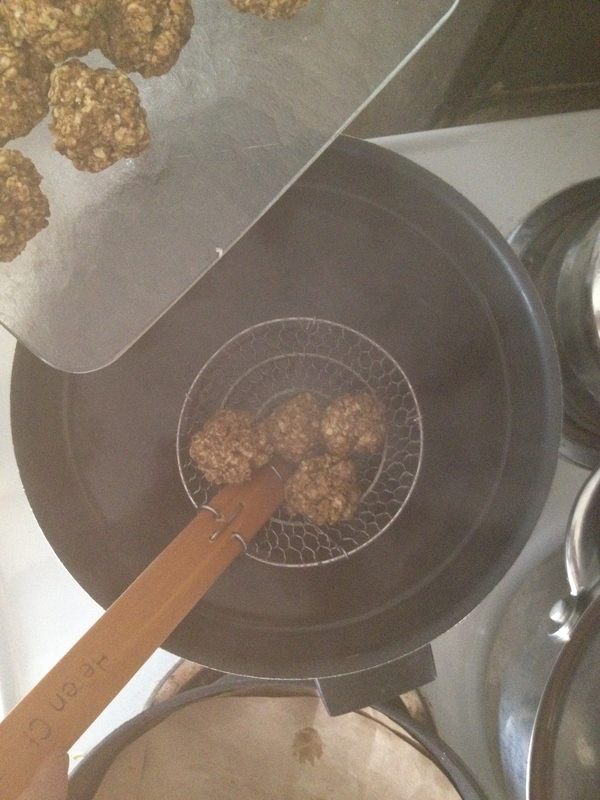 Get the matzo balls going: in a medium bowl combine the dry ingredients. 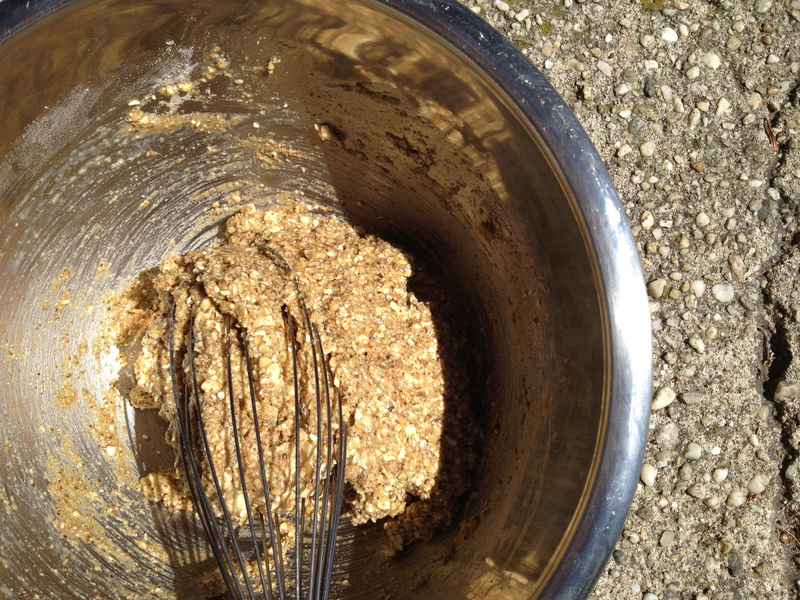 In a separate bowl, mix the wet ingredients, then add to the dry mixture, combining but not over mixing. Chill in the fridge for at least one hour (more is fine). While the matzo balls are hanging out in the fridge, start your stock: add the butter and oil to your stock pot and heat on medium. Add the diced onion, carrots, celery, leeks, and garlic, and wilt for about ten minutes. Then add about 2 quarts of water (you can also use vegetarian stock but I didn’t) and bring to a boil. 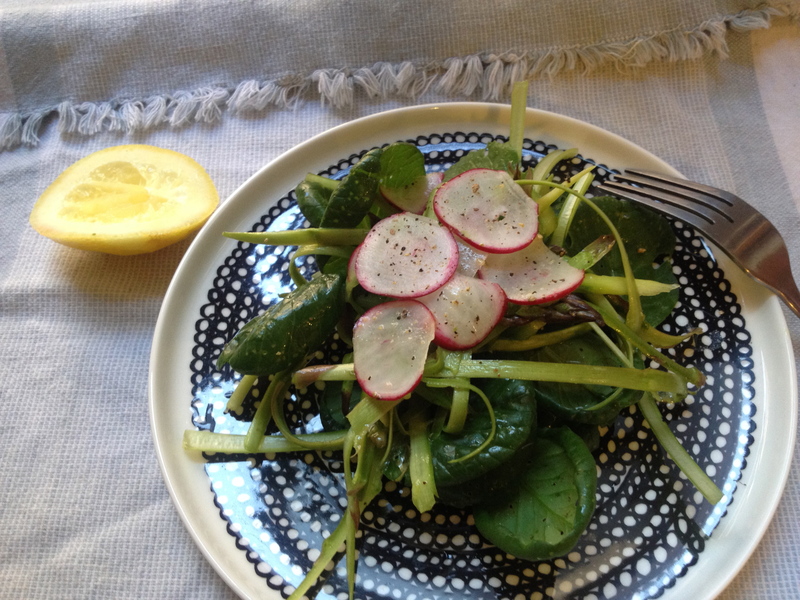 Toss in your spice sack, bay leaf, and salt to taste. Simmer the stock on medium heat with a lid slightly ajar for about one hour. Bring a separate pot of salted water to boil. 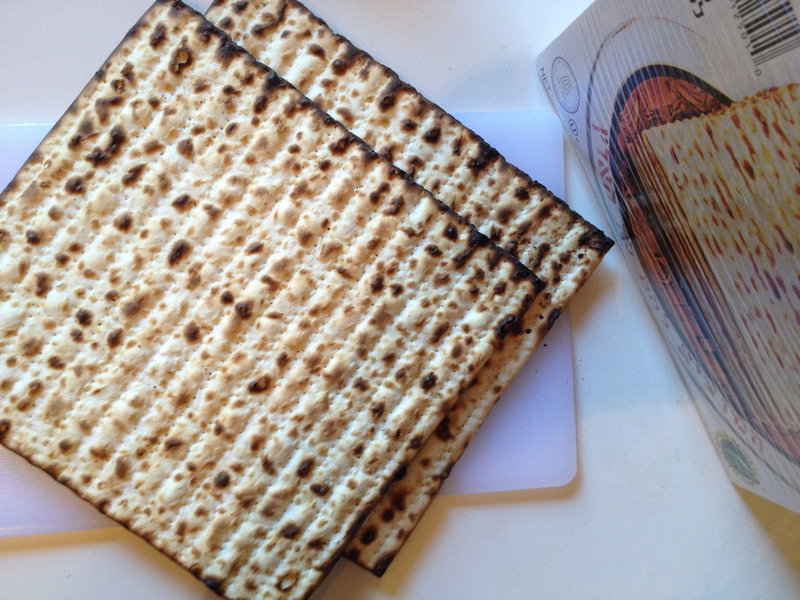 After the matzo has chilled, wet your hands a little bit to make handling easier. Roll the dough into small rounds about the size of golf balls (they expand when you cook so don’t make too big!). Turn the stove down a little so water is gently, rather than rapidly, boiling, and carefully add matzo balls to the pot. Cover with a lid and don’t lift the lid for 25 minutes or a curse will be placed on your first-born child. After 25 mins. check to make sure they’re done and if so turn off the water and remove with a slotted spoon and add to the veggie stock and let them get hot in there for about 15 minutes so they absorb the flavorful stock. 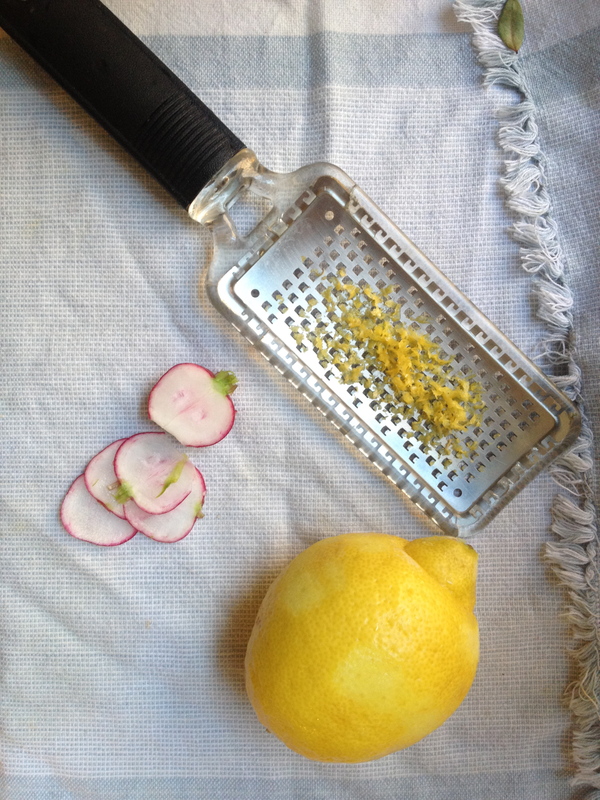 Serve with fresh dill. 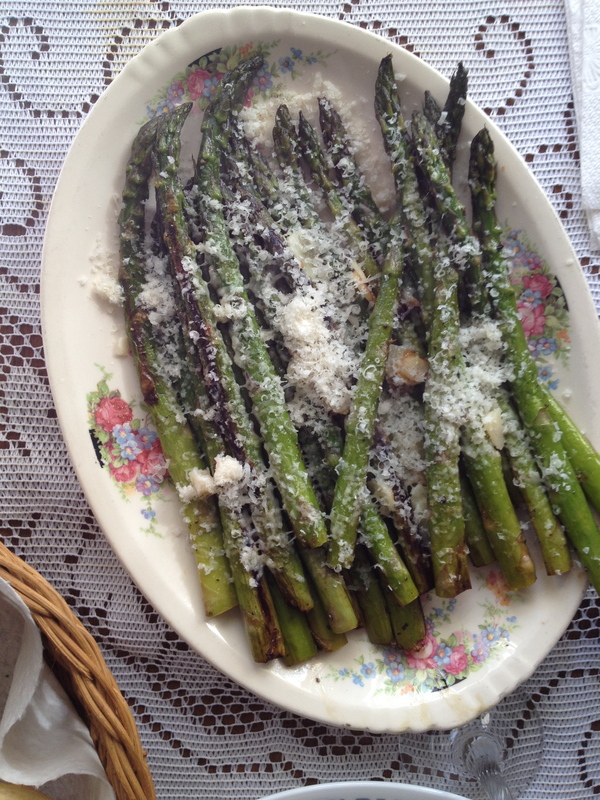 I roasted this asparagus as well, finished off with lemon juice, parmesan, and slices of garlic that I cooked in a separate skillet in a little bit of olive oil. Mm hm.